Diane is from Co. Monaghan. She first studied violin with Maeve Broderick at the RIAM. She led both the Junior and Senior National Youth Orchestras of Ireland and performed as soloist with the RTÉ Concert Orchestra aged just 14. She continued her studies in the UK with teachers including Wen Zhou Li and Mauricio Fuks. Diane has since toured the world with a number of prestigious ensembles including The Academy of St Martin in the Fields, The European Union Chamber Orchestra and Camerata Ireland. She has been a member of the Irish Chamber Orchestra since 1998. In other genres she has performed alongside and recorded with Sir Paul McCartney, Rod Stewart, Bono, Shania Twain and Katie Melua. Within the last year she has lead the Irish Chamber Orchestra’s New Year’s Eve collaboration with Dolores O’Riordan, performed with Declan O'Rourke and improvised over Leonard Cohen songs with Liam Ó Maonlaí. Diane has always blended her performance career with community and education work. In 2007 she set up ‘Music in the Glen’, based in Killaloe Co. Clare and is in charge of the organisation’s pre-instrumental music workshops, string groups and community ensembles. She is artistic director of the Féile Eile Chidren’s Arts festival in Killaloe. Christian Elliott, cellist of the Zehetmair Quartet, the Phoenix Piano Trio, and principal cellist of the Irish Chamber Orchestra, enjoys a varied career as chamber musician, recitalist, and orchestral musician. He is a frequent guest principal cellist with orchestras in the UK and Ireland, and has been active in the recording studio with the Phoenix Piano Trio, with whom he has recorded a double-disc of German, Austrian, and Danish Romantic repertoire due to be released in 2018. He is also a composer; his work for solo viola will be recorded by Ruth Killius in 2017, and his string sextet commissioned by Steven Isserlis was premiered at London's Wigmore Hall in 2012. Christian is resident in Edinburgh with his wife, violinist Sijie Chen, with whom he plays in the Raeburn Quartet on Classical period instruments and bows. EU Piano Competition Prague (concerto finalist), 3rd Soirees-Concours Internationales de Piano a Collioure, France (Audience award) and Feis Ceoil Dublin (Morris Grant Bursary and Mabel Swainson award). The National Concert Hall Dublin awarded Fiachra the “Rising Star” prize in 2011. Concerto appearances include the Janáček Philharmonic, RTE National Symphony Orchestra, RTE Concert Orchestra, Cambridge University Symphony Orchestra, RIAM Symphony Orchestra, Hibernian Orchestra and UCD Symphony Orchestra. Recent recitals include Google Dublin, a series of solo and two piano recitals in Japan, duo recitals at St. John’s Smith Square, St. Martin in the Fields, and the Brighton Festival UK; and piano trio recitals at the West Cork Chamber Music Festival, Bridgewater Hall Manchester and The Geneva Festival, Switzerland. Upcoming concerts include solo recitals in Spoleto Italy, Market Place Theatre Armagh, Playhouse Theatre Derry, Strawberry Hill House Twickenham, Prussia Cove UK, and trio recitals at the Petworth Festival UK, National Concert Hall, Dublin and Wigmore Hall, London. Katherine Hunka has been Leader of the Irish Chamber Orchestra since 2002. She regularly directs the ensemble from the violin as well as performing as soloist across a wide range of repertoire. She has shared the concert platform with ICO guest artists, including Jorg Widmann, Pekka Kuusisto Martin Hayes and Nigel Kennedy. As a soloist she has performed across England and Ireland including the Aldeburgh festival - where she premiered a concerto by Benjamin Britten - West Cork Chamber Music Festival, and the Westport Festival. This summer she will perform as soloist with ICO at the Kilkenny Arts Festival. Her trio “Far Flung” with accordionist Dermot Dunne and bassist Malachy Robinson tour Ireland performing anything from Bach to Tango. Katherine has been guest leader with groups including the Manchester Camerata, the Scottish Chamber Orchestra and The Cadaques Orchestra and has performed solo concertos with the City of London Sinfonia, the National Symphony Orchestra of Ireland and the RTÉ Concert Orchestra. She teaches on the MA programme in Classical Strings at the Irish World Academy of Music and Dance at the University of Limerick which is operated jointly by Irish Chamber Orchestra and the Academy. She is a Professor at the CIT Cork School of Music and has been a visiting Professor at Indiana University USA. Regarded as one of Ireland’s finest sopranos, Sylvia O'Brien has impressed audiences in opera, oratorio and chamber music. Recently returned to live in Ireland, Sylvia is a regular guest with some of the main orchestras, chamber ensembles and festivals throughout Europe with a repertoire that includes Chausson, Berlioz, Mozart, Bach, Verdi, Shostakovich and Wagner and the lighter repertoire of Strauss, Lehar, Novello and Gilbert and Sullivan. She has worked with such noted conductors as Michael Roswell, Nicholas Cleobury, Jos Vermunt, Philippe Jordan, Gerhard Markson and Stefan Asbury. Her specialist vocal and interpretative skills have established her as an important performer of contemporary music having performed numerous international premieres as well as many composers writing works specifically for her voice. She is presently pursuing a Doctorate in Performance at the Royal Irish Academy of Music and Trinity College Dublin, focusing on Irish vocal music. Sylvia is a member of the vocal faculty at The Royal Irish Academy of Music and Maynooth University. Sarah O'Donnell is in her final year in St. Anne's Community College in Killaloe, Co. Clare. With a voracious appetite for all things musical she recently played the part of Cosette in the school production of Les Miserables. During her time with Centre Stage, Sarah played parts in Grease, Legally Blonde, Hairspray and Mama Mia. Sarah hopes to go on to do Drama, Theatre and Performance Studies in NUIG later this year. Following a successful audition, she will be the Narrator for Prokofiev’s Peter & the Wolf. Violinist and conductor Keith Pascoe: Vanbrugh Quartet, since 1998. Recently: Complete Beethoven and Mozart Sonatas. After violin, piano and conducting studies at RCM: founder member, first Leader COE; Sub-leader LPO, in his early twenties; assistant director of ASMF, with whom he appeared as soloist; ten years with exclusive EMI artists Britten Quartet. A Boccherini scholar: published articles, critical editions. Lecturer at DIT; Visiting coach, examiner at RAM in London whom made him honorary associate in 2015. “…Pascoe’s intensely musical, deeply personal, and wonderfully moving account of the [Mendelssohn] concerto to match, at times even surpass, the playing of the best international soloists it has been my pleasure to hear" Irish Examiner. As a conductor: Cork Symphony Orchestra; City of Cork Symphony Orchestra; Cork Fleischmann Symphony Orchestra whom he will conduct in Verdi's Requiem at the opening Gala concert of the Cork International Choir Festival, 2017. Pascoe has conducted for such soloists as Nigel Kennedy, with whom he also played Bach’s concerto for two violins, Tasmin Little, Julian Lloyd Webber and Barry Douglas, as well as international choirs. Sam Perkin is an Irish composer who has written for leading orchestras, ensembles and soloists such as The Irish Chamber Orchestra, The Fidelio Trio and Finghin Collins. The extent to which Sam likes to explore the boundless possibilities of music can be seen in his recent compositions for Orchestra with Whale Sounds (Orca for Orchestra - 2015), Orchestra with Sign Language (Dreaming in Sign Language - 2014), and Strings with Body Percussion (Inspirit - 2013). Current commissions include a new work for Solo Violin exploring language for the American violinist Miranda Cuckson for The West Cork Chamber Music Festival 2017, and Concerto Grosso for Marimba and String Orchestra for The Irish Chamber Orchestra and percussionist Alex Petcu. In 1994 Joachim Roewer moved to Ireland to become principal viola with the Irish Chamber Orchestra, a position which he has held ever since. On numerous occasions he appeared as soloist with the Irish Chamber Orchestra. He performed Mozart’s Sinfonia Concertante both with Katherine Hunka and Anthony Marwood and Berlioz’ “Harold in Italy” with the National Youth Orchestra of Ireland. Since 2006 Joachim Roewer works as Course Director of the annual international ConCorda Chamber Music Course for Strings. Joachim Roewer is a passionate teacher and a busy chamber music player. He is member of the Esposito String Quartet and was invited to perform with the Vogler Quartet, the Vanbrugh Quartet and the Contempo Quartet. 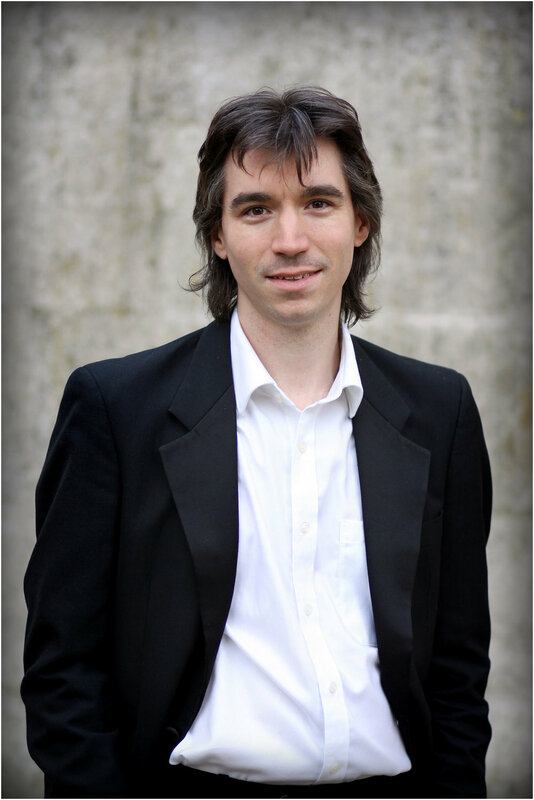 Since 2013 he is Artistic Director of the Killaloe Chamber Music Festival. Joachim Roewer teaches viola and chamber music at Cork School of Music and on the MA programme in Classical Strings at the Irish World Academy of Music and Dance at the University of Limerick. Clarinettist Katherine Spencer made her concerto debut at 14 years old at the Royal Festival Hall and has since performed there as concerto soloist many times. She has also appeared as soloist with the BBC Symphony Orchestra, The Academy of St Martin in the Fields Orchestra at the Barbican Centre and at the Birmingham Symphony Hall and Queen Elizabeth Hall, made many live Radio 3 solo broadcasts, and performs regularly on Classic FM and European radio stations. She has recorded with pianist Sam Haywood and many of her discs with the Galliard Ensemble, of which she is a long standing member are highly acclaimed in the world press, Gramophone and BBC Music Magazines. As a chamber musician Katherine was chosen by the BBC to be on their Young Generation Artists Scheme which has facilitated her to perform regularly in Festivals such as the BBC Proms and the Barbican’s “Mostly Mozart Festival”. Katherine is a member of the Age of Enlightenment Orchestra and principal clarinet of the City of London Sinfonia, as well as regular guest principal with the Irish Chamber Orchestra.Ireland and the RTÉ Concert Orchestra. She teaches on the MA programme in Classical Strings at the Irish World Academy of Music and Dance at the University of Limerick which is operated jointly by Irish Chamber Orchestra and the Academy. She is a Professor at the CIT Cork School of Music and has been a visiting Professor at Indiana University USA. The Westland Wind Quintet was formed in 2012 as a student ensemble of the Royal Irish Academy of Music, where they were coached by Brian O’Rourke and William Dowdall on a weekly basis for almost 3 years. In 2014 they were prizewinners in the ESB Feis Ceoil Chamber Music Cup as well as participating in the young ensemble residency at the KBC Great Music in Irish Houses Festival, where they received masterclasses from Michael Collins and Cormac O’hAodain. In addition to working in a wind quintet setting they often play in wind sections of orchestras together, perform in a wide range of styles – from early baroque to experimental contemporary music – with different ensembles across Ireland and abroad, and, above all, they really enjoy spending time together! Hannah studied with Fergus O’Carroll at the RIAM and Erja Joukamo-Ampuja in the Sibelius Academy in Helsinki. At only 21 years of age she was appointed Assistant Principal Horn of the Kuopio Symphony Orchestra in Finland. She has performed with the RTÉ National Symphony Orchestra, Helsinki Sinfonietta, Kirkos Ensemble and NOYI. She successfully competed in a number of national competitions and recently she was a soloist with the Dublin Consort, along Richard Watkins and the Wexford Sinfonia, along three of her horn-playing Finnish colleagues. Miriam studied at the RIAM with William Dowdall. She was the Irish Freemasons’ Young Musician of the Year 2015 and appeared as a concerto soloist with the RTÉ National Symphony, RTÉ Concert Orchestra, Dublin Orchestral Players and Esker Festival Orchestra. She is a member of the Kirkos Ensemble and has previously performed with, the Vanbrugh Quartet, Crash Ensemble, Britten-Pears Orchestra and Britten-Pears Baroque Ensemble. Miriam is supported by Music Network’s Music Capital Scheme, funded by The Department of Arts, Heritage and the Gaeltacht.